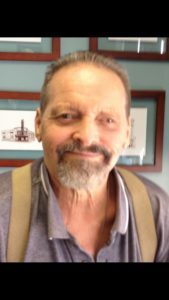 Lester Dale Ashby, 68, of Evansville, Indiana passed away on Friday, November 23, 2018. He was born on December 5, 1949 in Folsomvile, Indiana, the son of the late John and Genevieve (Kelley) Ashby. Lester worked retail at the Goodwill store for over 47 years and his colleagues were like his family. He considered working there more like his hobby instead of a job. His siblings include Carol (William) Kraeger, Dennis Ashby, Nancy Kilgore, Beverly Ashby and David Ashby.